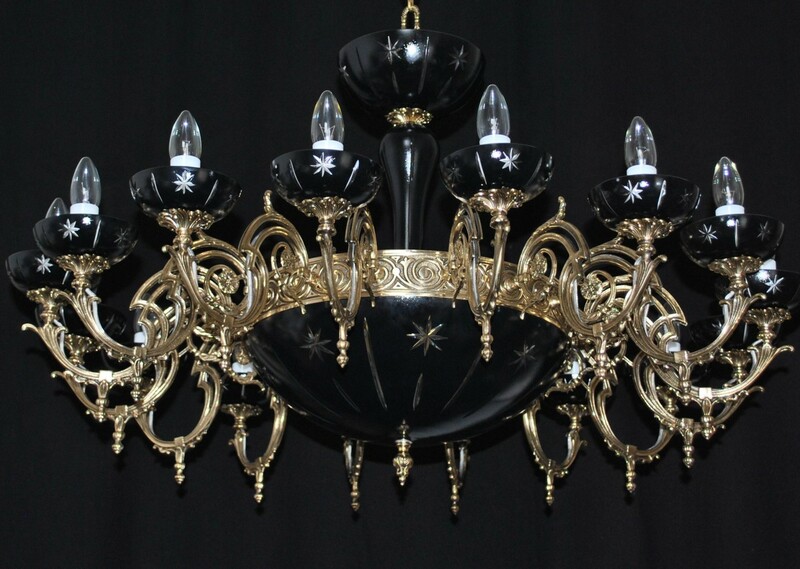 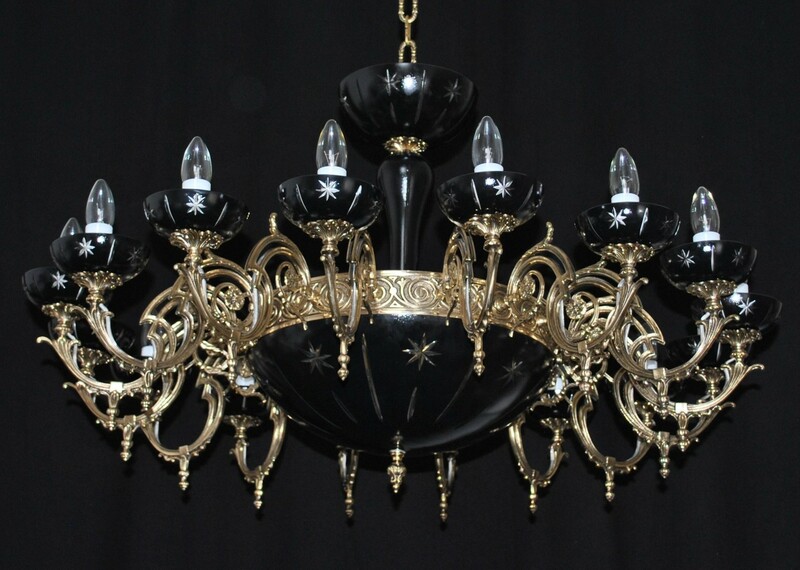 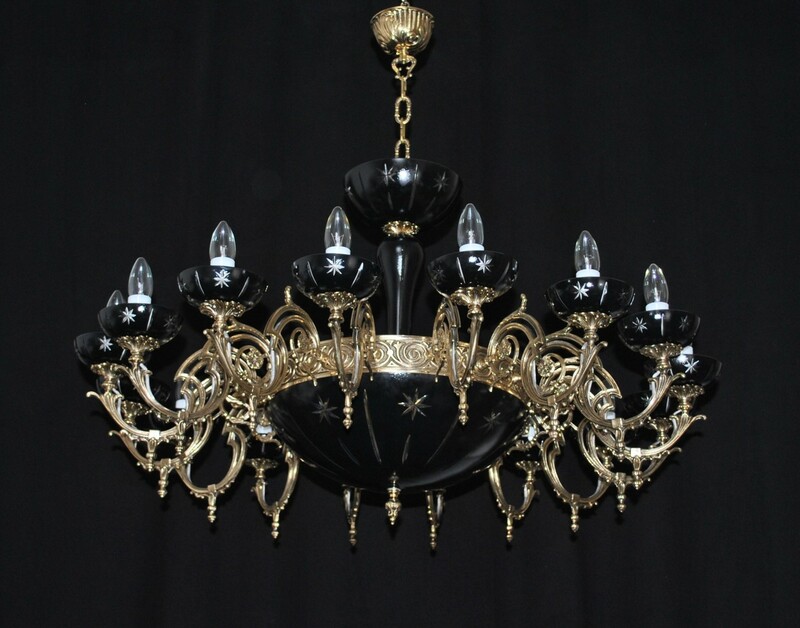 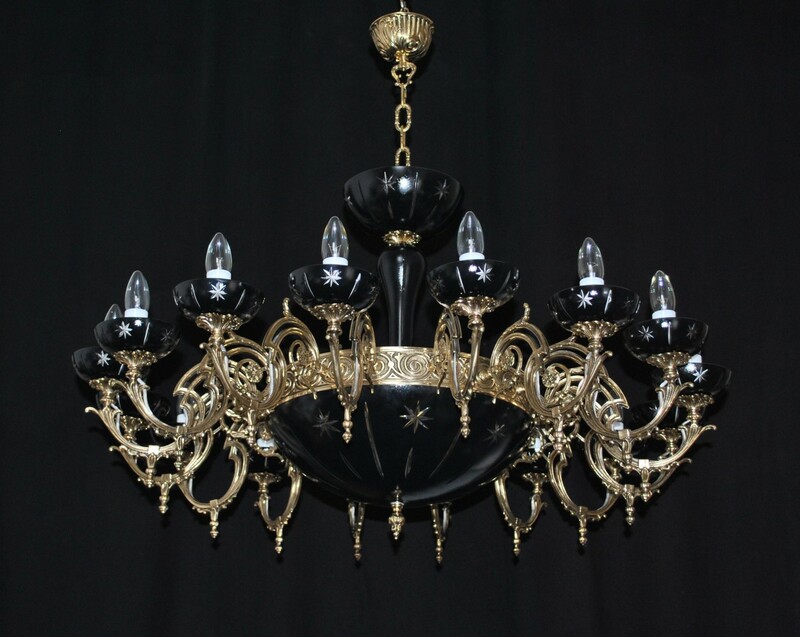 The custom-made black chandelier made of cased glass cut so as to reveal the inner clear layer. 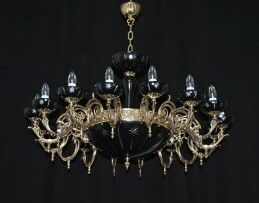 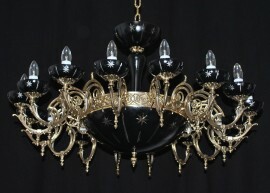 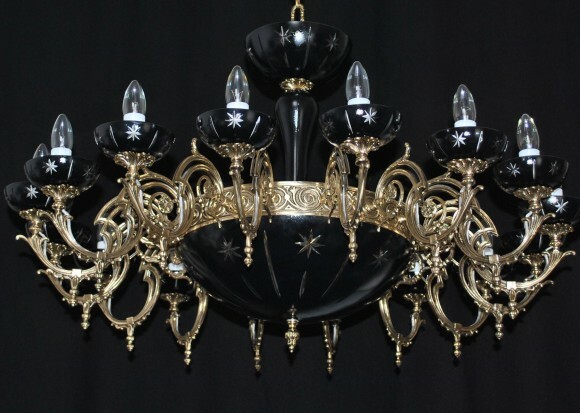 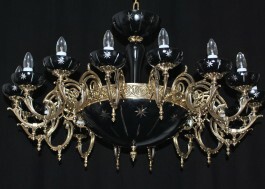 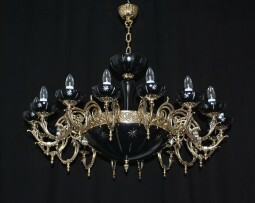 The design custom-made black chandelier with the solid cast brass arms. 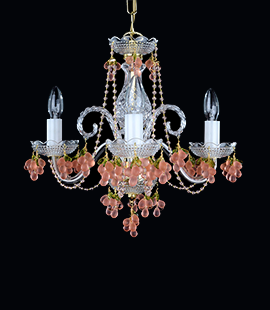 Trimmings: None (can be added).